This article was updated on 10th December, 2017. One of the reasons visitors experience this richness is because these sites are highly responsive. A visitor doesn’t have to wait for long to see a response after sending a request. But this richness comes at a cost! While all Search engines (SE’s) can scan the content that travels from the server to the client, not all SE’s have the capability to scan it when the content is built dynamically at the client’s end. So your site cannot be reached through all SE’s if you are rendering the content on the client side. The solution to this problem is Server Side Rendering. Some of you might think that this approach is taking us back to the days when we had everything rendered from a server. But no, this approach instead enables us to render the initial view of the application from the server and rest of the application, runs on the client side. Social media platforms like Facebook and Twitter can show the preview of the site when the URL of a server rendered application is posted on these platforms. Editorial Note: Web crawlers are becoming smarter now-a-days. Google made a statement in October 2015 implying that it can crawl and index dynamic content. Bing can too. However for a consistent SEO experience across all search engines, server side rendering still remains the preferred option. To support server side rendering in Angular, the Angular team created a project named Angular Universal. Angular Universal is a package to add server rendering support to Angular applications. As Angular is a client framework and can’t be understood by server platforms, the Angular Universal package provides the required knowledge to the server engine. As we will see shortly, the universal package can be used to pass the Angular module to the Node.js server­. Before Angular 4, it was maintained as a separate repository, but it is now moved to the npm submodule @angular/platform-server. The support for universal apps was added to Angular CLI in the version 1.3.0. In this article, we will build an application using the pokémon API to show a list of pokémons and their details. The application would be rendered from the server. This command will take a few minutes to complete. This command starts a server on the port 4200. Open a browser and change the URL to http://localhost:4200 to browse the application. Now the application is in the default SPA mode. We need to make a set of changes to be able to run it from the server. Let’s do this in the next section. Let’s make the default application render from server before building the pokémon app. We need to make a few changes to the Angular application to enable it for server rendering. A new module has to be created specifically to run the code from the server. This module would import the main AppModule that starts the application and the ServerModule exported by the @angular/platform-server package. The new module won’t have components and other code blocks of its own. We need a file to serve as the entry point for the application from the server. This file does nothing more than importing the AppServerModule created above. Add a new file to the src folder and name it main.server.ts. The TypeScript files have to be transpiled differently for server side rendering. For this, a different configuration file is needed for transpilation. Add a new file to the src folder and name it tsconfig.server.json. 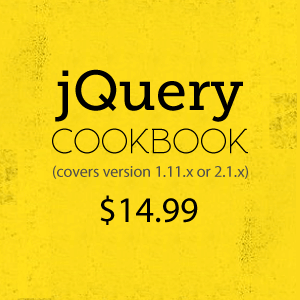 Information about server rendering has to be fed to the Angular CLI. For this, we need to add a new application entry in the file .angular-cli.json. If you open this file, you will see a property named apps assigned with an array that has a single entry. The existing entry is the configuration used for development and deployment of the application in the client-oriented mode. The new entry will be for server-oriented mode. Also, modify the outdir property of the first application to dist/browser. The most important parts of the code in the snippet have inline comments explaining them. As you see, the server code uses the static files from the dist folder to serve the client application. The statement 25 gets object of the Angular module built for server rendering. This module is passed to the renderModuleFactory method along with the options. The options object contains the HTML content to be rendered, the URL to be served by the Angular application and the optional property extraProviders. The URL is useful in the applications with routes. The HTML obtained in result of this operation is passed to the callback of the HTML engine, so that it would be rendered on the page. The extraProviders array is the platform level providers for the render request. Here the snippet passes the providers for lazy loading; this is done to make the server rendering work even for the routes that would be lazily loaded. Now we are good to build and run the application. Run the following commands in the given sequence. The first command builds the client application, second command builds the code to be rendered from the server and the third command starts the Node.js server. 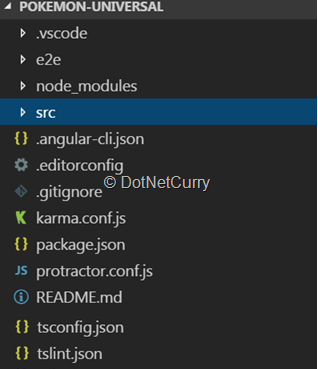 Note: Some of these instructions may change in the future versions of angular-cli or platform-server. You can refer to the instructions on the official wiki of angular-cli if these steps don’t produce the desired result. Now that we saw how the default application works when rendered from the server, let’s modify the sample to add two routes and see how they work when rendered from server. The final application will have two routes. One to show a list of pokémons and the second one to show the details of a pokémon selected on the first page. First, we need to add a service to fetch the data and create a model to represent the structure of a pokémon. The service has two methods. 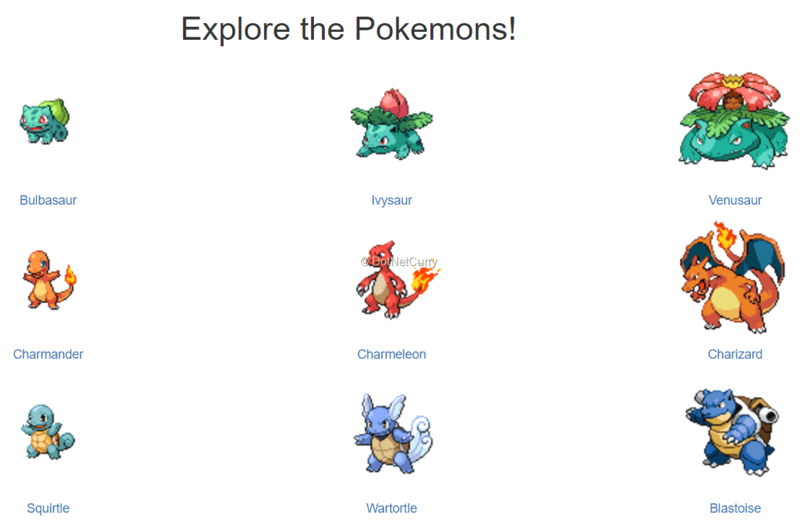 The first method listPokemons gets a list of pokémons by querying the pokedex API and takes the first fifty pokémons. This is done to show lesser amount of data on the page and keep the demo simple. If you want to see more number of pokémons, you can modify the logic. The second method getDetails receives an id of the pokémon and gets the details of it by querying the pokémon API. 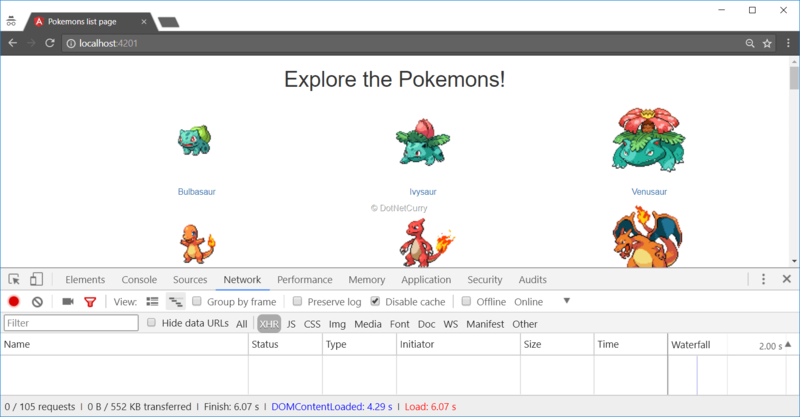 To call the pokémon REST APIs, the service uses HttpClient. It is a new service added to the @angular/common package and it has a simplified API to invoke and intercept the HTTP based endpoints. Let’s add the components required for the application. We need two components to show the list of pokémons and to show the details of a pokémon. These components would be configured to render on different routes. Let’s get the components generated, then we will modify them to display the data we need to show. Note: Notice the –m option added to the above commands. This option tells Angular CLI to register the generated component in the specified module. We don’t need to specify this option in most of the cases. But here we need it because we have multiple modules created at the root of the application. The pokemon-details component receives id of the pokémon whose details have to be displayed and it calls the getDetails method of the PokemonService using received id to fetch the details. Now that the components are ready, let’s add the routes and complete the application. Add a new file in the src folder and name it app.routes.ts. As we have been discussing till now, we need to add two routes in the application. One to show the list of pokémons and the other to show details of a pokémon. This has to be added to the application module to make the routing work. We need to import the routesModule exported from the above file and add it to the imports array of the module. Switch between the list and details pages and randomly refresh any of the pages. You will see that the content of the first load comes from the server. This model enables server rendering on all the pages in the application and hence the entire application would have a consistent SEO experience. Notice that even if the complete page is served from the server, the browser makes an HTTP request to the pokémon API again and rebinds the data on the page. A user browsing this site won’t like this experience. Infact even as a developer, I don’t like this, as it makes a duplicate request to the API and makes the page slower. This can be avoided using TransferState. It is discussed in the next section. To make the application perform better and to avoid duplicate call to the REST APIs, the application should have capability to send data from the server to the client. Once the client receives the data from the server, it will use it to paint its UI and avoid making a call to the API. Angular supports this through the TransferState API. TransferState is a service that stores key-value pairs and can be used to transfer the server state to client side. To use this, the modules AppServerModule and AppModule have to be supplied with the ServerTransferStateModule and BrowserTransferStateModule respectively. Now that the modules are included, the TransferState service can be used to store the state. The state object has to be associated with a key. The key can be created using the makeStateKey function defined in the @angular/platform-browser module. The task of storing and retrieving the state has to be performed in the service pokemon.service, as this service is used to fetch data from the server. Now pokémon.service abstracts the logic of fetching the data. Interface of the methods is not modified, they still accept and return the same types of values. The methods handle the logic of fetching data from the right source. Go to a details page and refresh that page or open it in a new tab. You will notice that even this page doesn’t make any XHR calls. But the pages will make XHR calls when you switch between the pages on the same tab, as the application runs in client’s context. Meta information on pages is crucial for search engines. If the search string entered by a user contains any of the words added in meta section of the page, the possibility of getting this page in the search results is higher. Meta information can be added to the page in Angular components. Similarly, adding a meaningful title to the page makes the page more usable, as the user would understand the purpose of the page from its title itself. Also, the title would be displayed on the page displaying search results and in the preview displayed on social media sites when the page is shared. Meta tags and title can be set in the app.component and even in the components used for routes. The meta tags relevant for the whole application can be added in app.component. The tags specific to the routes can be added in the components used in routes. To add this information to the pages, the services Meta and Title have to be imported from the package @angular/platform-browser and they have to be injected in the component. The Title service provides the method setTitle to set the title. And the Meta service provides the method addTags to set a set of tags to the page. I am leaving it as an assignment to the reader to set the title and meta tags for the pokémon list and details pages. After setting these values, run the application and now you will see the title appearing on the title bar of the browser and the meta tags added to the head section of the HTML rendered. As we saw in this article, Angular has a very good support for server side rendering and it is now integrated with Angular-CLI as well. We should definitely use this feature to make our sites SEO consistent! This article was reviewed by Mahesh Sabnis and Suprotim Agarwal.